The mission of Life Support Group, LLC is to provide comprehensive life skills training for Middle School and High School students. By using our unique variation of the military training model, we will reach students in a way that is both thought provoking and self esteem building. Our goal is to centralize life skills training for students and establish foundational standards for all young people. The vision of Live Support Group, LLC is to give young people the foundational standards and self esteem to insure that success in whatever activity they choose is attainable. At Life Support Group we have developed a tri-level training method. First is our highly successful Emergency Services Youth Academy BPESYA.COM. This two week summer program targets graduating fifth, sixth, and seventh graders. With very high standards and incredibly impactful activities this program builds the students self esteem and motivates them to be the best they can be! The second level is our Adjustment Program. This hour long exercise addresses local issues involving particular grades or classes. Members of our staff will visit the target group “unannounced” and conduct several focus exercises followed by a classroom session which addresses the particular issue at hand. The advantage of this program is it’s flexibility. We will be available to address almost any group problem i.e. internet misuse, school violence, inappropriate or disrespectful behavior etc. And lastly, our comprehensive briefings regarding all state mandated presentations as well as special interest topics. Our professional staff is qualified to present topics including school violence, dating violence, bullying, life skills, and many more! With our comprehensive approach students tend to be more attentive. We emphasize accountability and responsibility, this empowers students to make good decisions and smarter choices. The Life Support Group is made up of professionals from different backgrounds and disciplines. Our group is committed to establishing a foundational training standard for all young people. We use a unique variation of the military training model which is highly effective and self esteem building. Once we engage your students our goal is to establish an on going relationship with students, faculty and administration. We firmly believe that centralized training is the most effective. 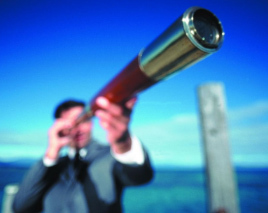 In 2008 we began to explore the possibility of establishing a system of presentations and programs. Programs that would affect not only students but entire communities. 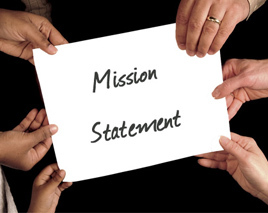 In 2009 we conducted a feasibility study to see if the ideas we had would work in our school system. 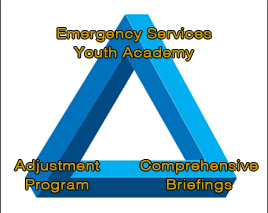 In 2010 we launched the Emergency Service Youth Academy. The program was a hit right away! So in 2015, with the big picture coming into focus we established the Life Support Group.The demands we place on our middle school students show them that they are capable of accomplishing their personal goals and more. The training model gives young people a self esteem boost which positively affects their academic, extracurricular and social activities. Most importantly, over the last five years there has been an identifiable drop in negative activity system wide. The training model we use is very comprehensive. It requires young people to follow simple orders consistently. The difference in our program is that we follow up our lessons with extremely impactful activities. The military training model calls for zero tolerance and stresses conformity. My staff are experts at eliminating the negative aspects of “boot camp” and reinforcing positive behaviors with encouragement and reward. In addition we offer several State mandated presentations along with our Youth Academy refresher “Adjustment Program.” Contact us and we will discuss these programs along with any school or grade specific issues you may have in your district. Time to get to work!